PepsiCo’sCEO Indra Nooyi led the company through a 12-year period in which soda sales plummeted, with year after year of declines. Nooyi’s strategy has been to push PepsiCo to build out its snack business and double down on healthier brands. By 2016, less than 25% of PepsiCo’s sales were from soda. PepsiCo’s CEO Indra Nooyi is leaving the company after 12 years – a period of time that has been marked by turmoil and massive change in the soda industry. 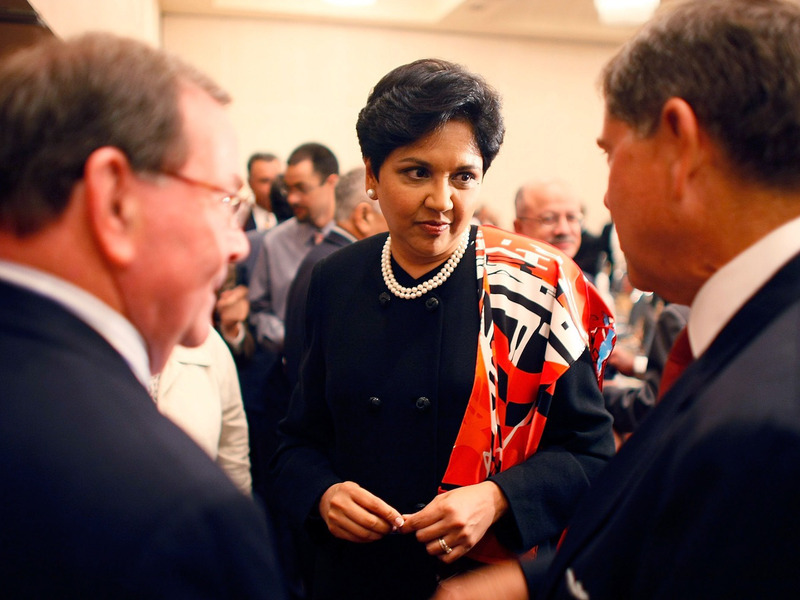 When Nooyi joined Pepsi in 1994, the soda business was booming. Soda consumption in the United States reached its peak in the late 1990s, with the country consuming nearly 53 gallons per capita in 1998. In the early 2000s, nutrition trends began to shift from demonizing fat to singling out sugar as a top ingredient to avoid. And, sugary sodas were increasingly painted as one of the top villains. When Nooyi took the position of CEO in 2006, soda sales were already in decline as Americans increasingly tried to cut sugar from their diet. 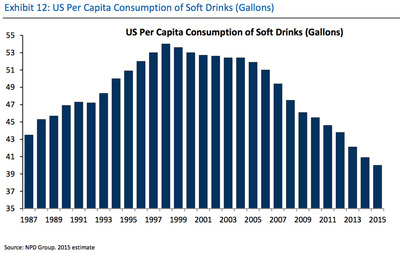 In May, soda sales by volume dropped for the first time in 20 years, according to Beverage Digest, marking the beginning of a decline that has continued every year since. Even before being appointed CEO, Nooyi had helped lead the beverage company’s push into bottled water, sports drinks, and tea, quickly growing categories that offered Pepsi relief from the decline in soda sales. Pepsi increasingly referred to itself as a “total beverage company,” as well as building out its snack-food portfolio following the acquisition of Quaker in 2001. Nooyi was vocal about the need for change – for both financial and ethical reasons. Nooyi’s emphasis on health and the decision to double down on brands outside of soda has been met with some criticism. 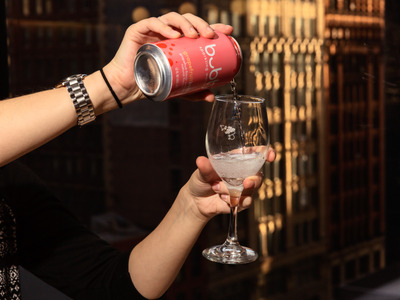 And, it wasn’t without its missteps, such as when the company was forced to backpedal and bring back the recipe for Diet Pepsi that contains aspartame earlier in 2018. However, as soda sales have continued to fall, Nooyi’s strategy seems to have paid off as a whole. “With demand for soda under pressure, PepsiCo can now take comfort in the fact that it has a balanced portfolio of products – including in emerging areas like plant-based snacks from its recent acquisition of Bare Foods,” Saunders continued. As Coca-Cola continues to double down on soda, PepsiCo’s drive to build out its business outside of soda seems likely to only grow stronger with Nooyi’s departure. While soda remains a major source of business, PepsiCo’s most recent high-profile beverage launch is a different fizzy drink: the sparkling water brand bubly.